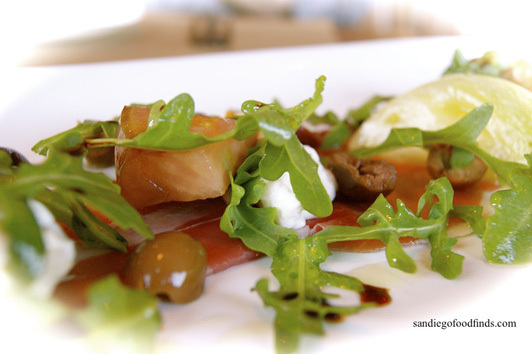 San Diego Chef’s Table is a must for foodies headed to La Jolla and other areas of our city. Maria Montana really knows San Diego restaurants. That’s why this “true foodie” is my go-to resource when I need a recommendation for a certain type of food in a particular part of the city. Even in La Jolla, where I have lived and dined for most of my life, I have long consulted her San Diego Food Finds Web site to see what particular dishes she’s enjoyed at a place where I’ve made reservations. Now my friend and colleague has produced two new resources on San Diego restaurants: Food Lovers’ Guide to San Diego and San Diego Chef’s Table. 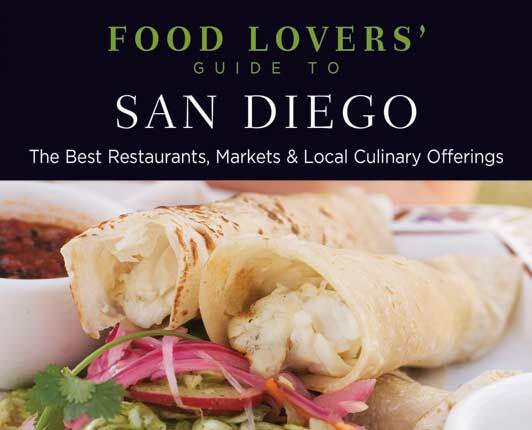 The book Food Lovers’ Guide to San Diego is perfect for foodies who want info on specialty stores, markets, and producers as well as San Diego restaurants. In La Jolla, Maria steers readers to El Pescador Fish Market (where I grabbed a great salmon sandwich yesterday) and Cups (organic cupcake bakery cafe). She also writes about two of my favorite eateries – Goldfish Point Café and Museum Café. In addition to restaurants and markets, The Food Lovers’ Guide to San Diego includes introductions to our city’s wine scene, fast-growing craft beer scene, popular food trucks and best farmers markets. 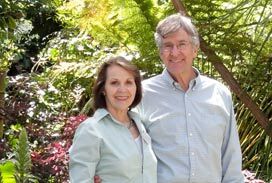 She also shares a few recipes, including her wonderful Lasagna Bolognese with Basil Ricotta and the Chocolate Godiva Cake from Eddie V’s Prime Seafood in La Jolla. Let the Food Lovers’ Guide to San Diego help you find restaurants, specialty stores, food trucks and more. More recipes? 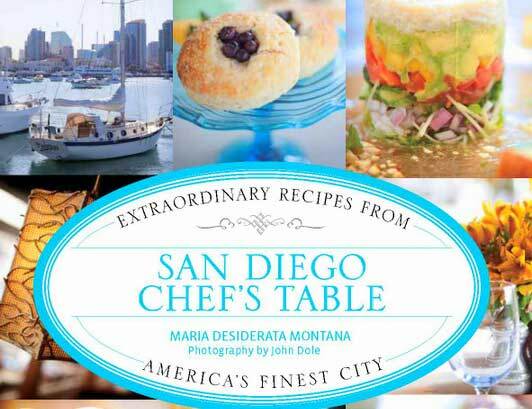 Maria’s latest book San Diego Chef’s Table is aptly subtitled “extraordinary recipes from America’s finest city.” Here, chefs from San Diego restaurants – many are her personal friends – share their trade secrets. The La Jolla contributors include Jeff Jackson, Executive Chef, A. R. Valentien at The Lodge at Torrey Pines; Donald Lockhart, Executive Chef, Cusp Dining & Drinks at Hotel La Jolla; and Bernard Guillas, Executive Chef, The Marine Room. Whether you are a traveling foodie headed to San Diego on vacation or a serious chef in need of an intro to our renowned farm-to-table food scene, I suggest you let Food Lovers’ Guide to San Diego and San Diego Chef’s Table be your guide. Maria Montana is participating in the La Jolla Foodie Getaway. Click here to enter the contest.